Team BV 2018: What a ride! This spring and summer we had 42 practices, 11 tournaments, 8 teams and shared innumerable memories that will last a lifetime. We won some, lost some and grew every day during Team Brandon Valley 2018. Today we get to celebrate all of those milestones as well as our final Players of the Week from the OSA Tournament in Omaha. - The high school boys ended the season with a championship trophy in Omaha. - The 6th grade girls team had a very strong season, bringing home 2nd place trophies in 4 of 6 tournaments, including a 2nd place finish in Omaha. - The high school team had an impressive record of 36 wins and 10 losses throughout the spring and summer seasons. High school boys sweep the Omaha tourney and bring home the first place hardware. 6th grade girls end an impressive season with a 2nd place finish in Omaha. Julia Ask, 5th grade: Coach Terveer was impressed with how Julia battled on the offensive glass at the Omaha tournament. She battled against some girls who were much bigger than her, but never backed down. Julia was a team player - setting ball screens and stepping up in a big way when needed. She also hit an over-time buzzer beater to clinch a win for her team. Julia tells us her favorite subject in school is science, and she plans to be a veterinarian when she grows up. Julia's favorite thing about playing basketball is working hard on defense. Her favorite BV athlete is Hannah Berhens. Kennedi Deckert, 6th grade: Coach Klumper said Kennedi played extremely well throughout the OSA tournament. Her team could count on her to handle the ball against the press and get the team into the offense. Kennedi made a ton of big shots in leading her team to a 2nd place finish. She has a tremendous ability to push the ball up the court and find the open teammate. As a guard, Kennedi also does very well on the boards, ripping down the ball with fire and fury. She played with a competitive spirit all weekend. Kennedi tells us she plans to be a doctor when she grows up. Her favorite favorite basketball memory was from a tournament last year when she made a deep three point shot with only four seconds left in the game. Her favorite BV athlete is her older brother, Caden Deckert. Isabel Klumper, 6th grade: Coach Klumper said throughout the Omaha tournament, Isabel showed toughness and aggression game after game. On defense, Isabel made life miserable for the girl she was guarding, putting forth maximum effort to shut her opponent down. Isabel shows awesome hustle on defense both on the ball and as a help defender. Offensively, Isabel hit key shots throughout the tournament and spent a lot of the time successfully handling the ball against pressure. Isabel played with a competitive spirit all weekend. Isabel tells us her favorite subject in school is math. She loves to play basketball because she can be with her friends and push herself to get better. Her favorite BV athlete is Alex Waltner. Jax Nuebel, 6th grade: Coach Waltner was proud of how Jax stepped up for his team every single game in Omaha. His team members looked to him to control the ball, the game tempo and to get his team into the offense. When his team needed a basket he would take it into his own hands by getting to the rim or making a beautiful pass to a teammate. He got up and guarded full court on defense - making more than one of his opponents uncomfortable. Jax tells us his favorite subject in school is math and he plans to be an NBA player when he grows up. His favorite thing about playing basketball is making baskets! Jax said he favorite BV athlete is Zach Scholten. 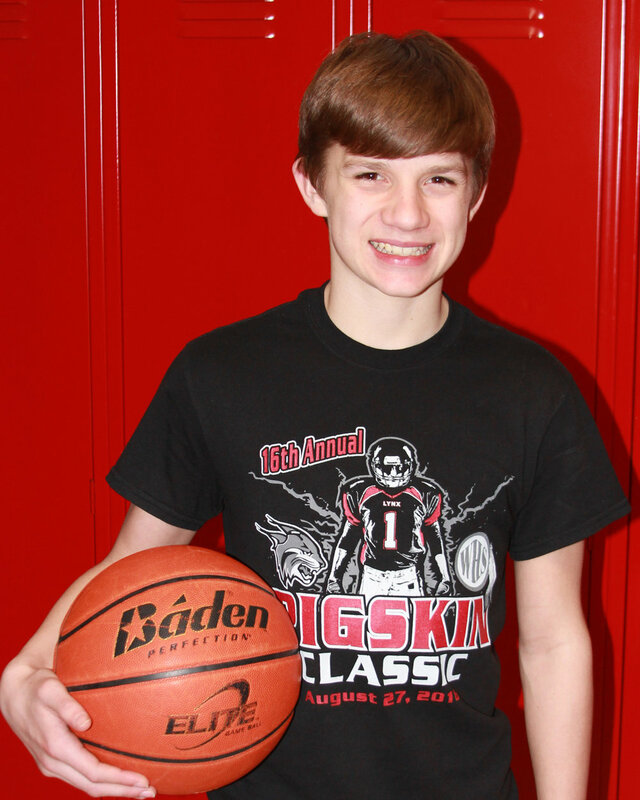 Cole Dekker, 7th grade: The coaches loved Cole's effort during the Omaha tournament. No matter the score, Cole gave his maximum effort on every single play. On offense he took control by aggressively getting the ball to the rim. Each defensive possession he got up and guarded the full court - giving his team the energy they needed. Cole tells us his favorite subject in school is science and he plans to be a basketball player when he grows up. His favorite BV athlete is Dale Moss. 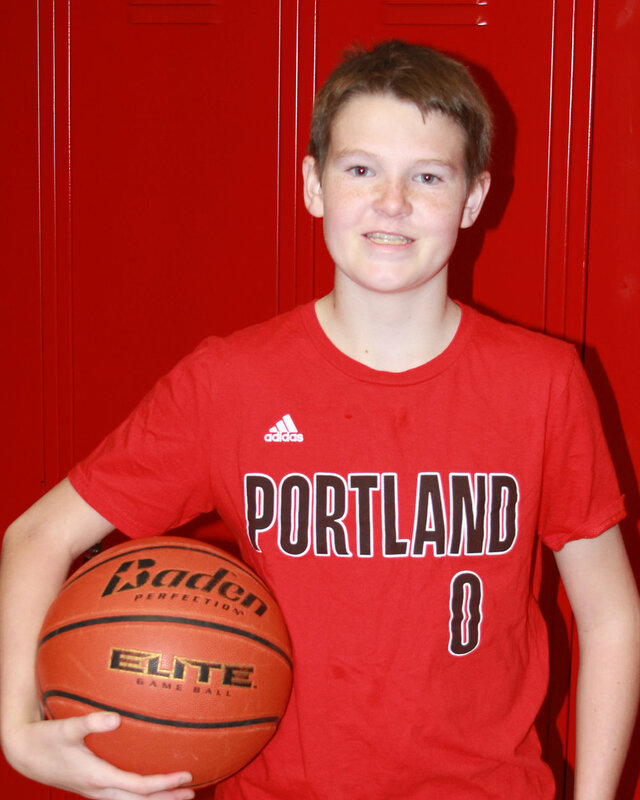 Max VanWesten, 8th grade: Coach Scholten loves how Max plays his tail off each and every game. He brings a toughness to the team that each coach sees and loves. Max is not afraid to put his body on the line for his teammates - and took multiple charges during the Omaha tournament. He is very coachable, always listening to his coaches and working to implement that direction. Max tells us he plans to be a radiologist when he grows up. 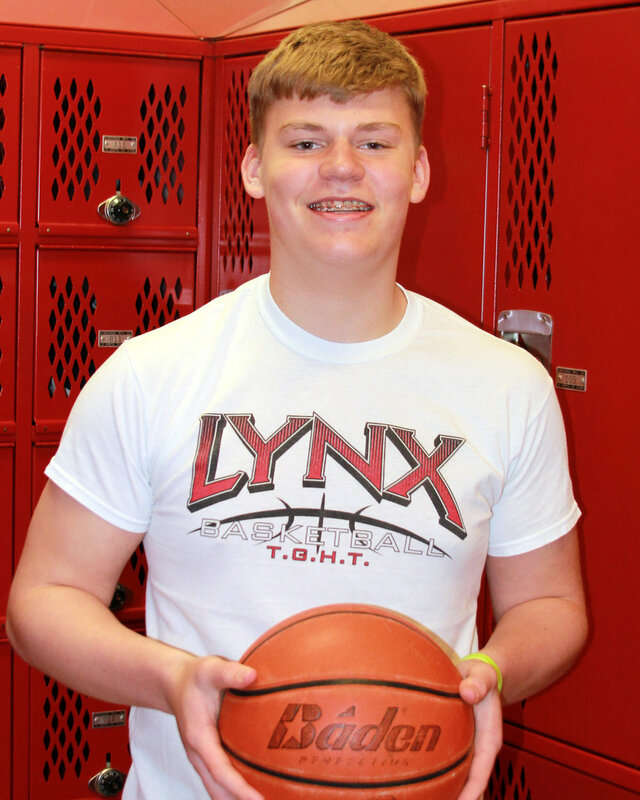 His most memorable basketball moment is winning the YMCA championship. Max shared his favorite BV athlete is Chase Marso. Brock Van Oort, 8th grade: Coach Jurgens was excited about Brock's energy during the Omaha tournament. In addition to being a spark plug for his teammates, he knocked down a huge three-pointer and had a key free-throw to help secure our first win of the weekend against the top team in the division. He showed great effort in every game. Brock tells us his favorite thing about playing basketball is the competition. His most memorable basketball moment was winning a game against some tough, and really tall, competition. Brock's favorite BV athlete is Jake Adams. Dawson Johnson, 9th grade: Coach Deckert said that Dawson is a smart player who consistently puts himself in great positions to make plays and to assist other players on the team. His team went undefeated in the Omaha tournament and Dawson was a huge part of that record. He shot the ball incredibly well in multiple games. Overall, he had a great summer of basketball. Dawson tells us his favorite subject is english and he plans to be an accountant when he grows up. His favorite basketball moment is winning the final game of middle school in a buzzer-beater shot. His favorite BV athlete is Nic Peterson.